It has been a particularly bad week for President Trump. The Senate crossed him not once, but twice. On Wednesday, they passed a resolution that would end United States military support for the Saudi Arabian-led coalition for the war in Yemen. The 63-37 vote was made over the objections of Secretary of State Mike Pompeo. Then on Thursday, based on opposition from Sen. Tim Scott (R-SC) and Sen. Jeff Flake (R-AZ), Trump’s nomination of Thomas Farr to the United States District Court also collapsed. It’s as if the Trump Train is no longer full of Republicans who are happy to be there. Then Michael Cohen made his bombshell guilty plea of lying to congress. This immediately preceded the president’s cancellation of his previously scheduled Saturday meeting with his idol, Vladimir Putin. Cohen, Trump’s former lawyer, was immediately dismissed as a liar by the president. Shortly after the president called his former lawyer a liar, his current lawyer, Rudy Giuliani made clear that Trump’s responses to the special counsel did not conflict with statements Cohen made in court. I know that’s confusing. Historically, when calling someone a liar, one shouldn’t be saying the same things. In fairness, he didn’t say they were liars, just that he didn’t believe them. Maybe the president just thinks the 300 scientists are incorrect in their conclusions. “Science denier” is a terrible name to call someone, which is what Trump is on this one. But that’s still not as bad as being called a liar. I guess. I couldn’t help searching for a little science myself this time. Specifically, the science of lying interested me. Psychology Today seemed like a good place to find some. Is Cohen lying? Is he lying now, before or both? Of course, documentation of the president’s lies are voluminous. Even his most unwavering supporters concede that he lies. And he has surrounded himself with a crowd of liars too. I don’t want to sound like a science denier right in the same column where I so disrespectfully call our president one, but I’m not sure I believe Dr. Ley on that one. He knows more about it than I do, so I am just going to have to trust him. 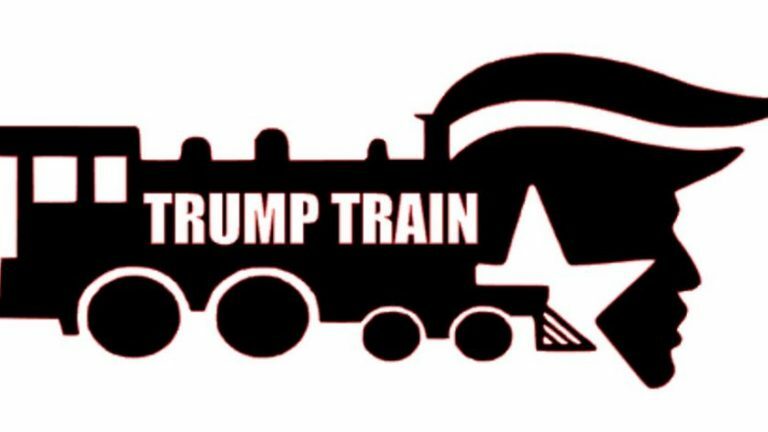 It must be hard to be on the Trump Train these days, judging by how easy it is to not be on it. While I was getting ready to write about the week’s events, I was talking with a colleague about some railroad business. In this conversation, he used the word “foamer” to describe someone. That was a new one by me. I had to interrupt the conversation to ask what the hell that meant. As a father of two young adult sons, I interrupt conversations like this all of the time in a futile attempt to not be left out of modern pop culture linguistic circles. Some might think a “foamer” is some variety of tool that turns a liquid into foam, as in a soap or that frothy milk or cream that goes into snobby coffee drinks. That would be a weird thing to call someone though, but still not the strangest thing I’ve heard lately. It turns out a “foamer” is an out of control fan of railroads. They “foam at the mouth” when they see a train. I know it’s strange, and even after my friend told me what it meant, I looked it up anyway. There it was, right in the urban dictionary. I write about the Trump Train often, and how it is full of science deniers and liars. “Our capacity for language” is being tested these days. Surviving these difficult times will take the best effort we’ve got, and one with the least amount of foam.